For my plant-based friends, here is an oil-free Smoked Paprika Hummus recipe full of flavor. Paprika also adds a unique color to this delicious spread. Hey there, it’s me and I’ve got another bean-based recipe for you with this Smoked Paprika Hummus. I used canned, cooked chickpeas, and I sometimes find that the canned beans are easier to digest than when I home cook them. Also, I think blending beans into a hummus or spread also increases their digestibility. Have you ever had smoked or sweet paprika? It provides the most wonderful flavor. I was lucky enough to enjoy it during my travels to Budapest, Hungary. It’s a delightful spice that it underused in the States! An oil-free hummus recipe full of flavor. Rinse and drain beans and add to the bowl of a food processor, along with the tahini and miso paste. Squeeze juice from lemons and pour into a food processor. Chop the shallot roughly and mince the garlic. Add to the food processor, along with the paprika and ground cumin. Turn on the food processor and let it run for about 15-20 seconds, or until the ingredients are fully incorporated. Serve at room temperature or chilled. I wanted to note that I’ve heard some concern that smoked paprika might not be healthful taking into account the smoked aspect (i.e. smoking foods increases carcinogens which we then consume). If you have this concern about paprika, then I might suggest that you simply substitute sweet paprika for the smoked variety. 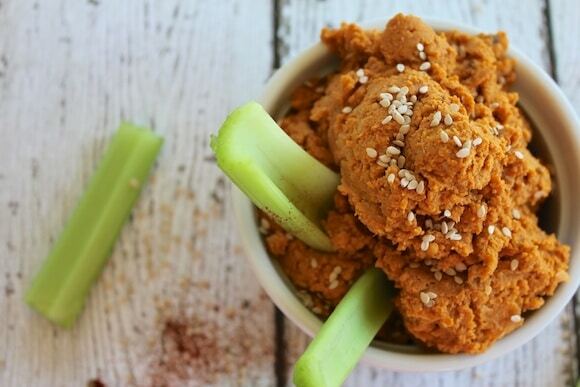 Enjoy this oil-free Smoked Paprika Hummus, perfect for my whole foods, plant-based friends! P.S. You might also like my 4-Ingredient Hummus, Roasted Garlic Hummus, and Chocolate Dessert Hummus. Lastly, don’t forget to pin this recipe to your favorite oil-free recipe board on Pinterest! 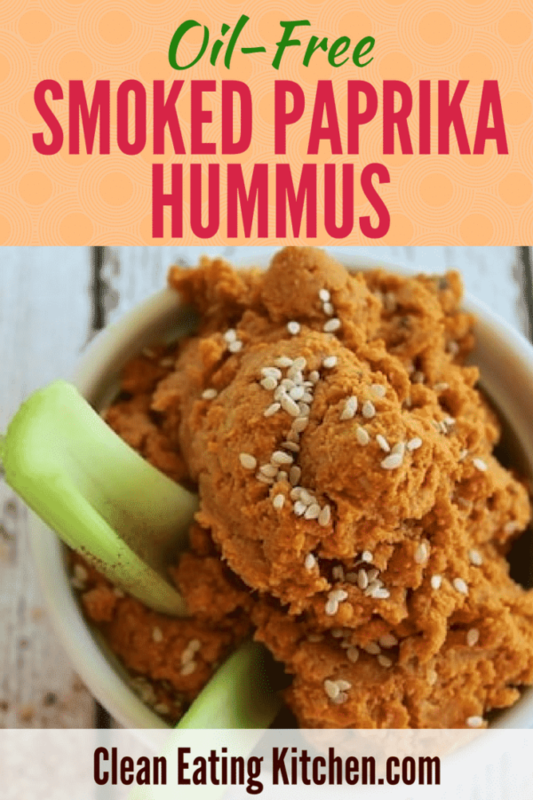 I love smoked paprika and hummus – can’t wait to try this! 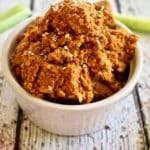 The fact that this has both smoked paprika AND miso makes it my kind of hummus! That’s interesting about the potential carcinogens though, I had never considered it. Although for the amount of smoked paprika you need to use in any given recipe, I cannot see it being that harmful. Ha Ha ha!! seems garbanzos really have that ‘tear gas’ effect on me, moreso than others. Never had miso paste in my hummus recipes.. this sounds good! I have been using a strip of kombu in cooking dried beans and this does seem to help with digestibility. Please let us know how you sprouted the garbanzo beans and how the dish turns out. Thanks, Dawn! I also use kombu when I cook my own beans, but I’ve heard that cooking them on the stove top might actually be better in terms of digestibility than using the pressure cooker, which I’ve been doing for about a year now. So, after I sprout my garbanzo beans, I am going to cook them on the stove top and see how they turn out. I soak mine with apple cider vinegar overnight and then cook them and I’ve found it makes a huge difference in their digestibility. hi carrie – do you have a particular brand of raw tahini that you buy, or have you experimented with making your own? 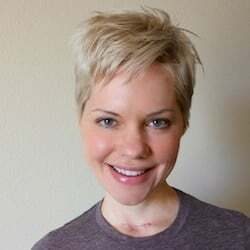 also, i wanted to mention that i really enjoy your recipes, and reading about your journey with plant-based living, especially related to your thyroid. thank you for sharing so openly and honestly. What a great combo! Can’t wait to try it! Oh, Carrie, that was funny! Thank you! I love having a laugh anytime, and especially on Monday mornings (although for me it was a Tuesday afternoon laugh). 🙂 I have had the same experience, where canned beans, or blended in to Hummus or spread, are easier for me to digest. This recipe sounds really good! Thank you for posting it! I’m going to checkout your new Vegan Delish web-site later. Also, I saved your “10 Ideas to Stay Healthy” list. Thank you, for sharing that. I’m drinking some green tea right now (one of the ideas from your list.) Chat soon! Sounds like great hummus Carrie!!! I always love a good bean recipe; paprika sounds like a great hummus addition! Your recipes sounds delicious. I would like to avoid soy. Can I substitute the miso paste or would omitting it make a huge difference in the texture? Hi Melissa! I would substitute the miso paste out and use a teaspoon of coconut aminos or even a teensy bit of salt. The miso was really only for a bit of saltiness. I love miso for condiments and sauces! 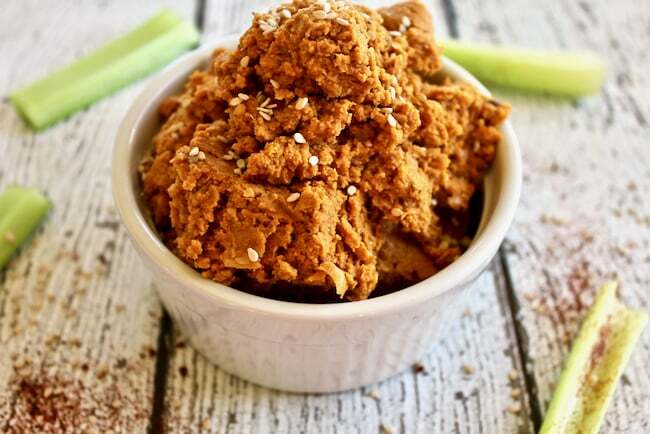 I would love to try hummus with gochujang, it would provide a strong red color! Smoked paparika is yummmm! Another great recipe to try!